The last hot start the Sabres got off to at home was a 3-0 lead against Philadelphia. Buffalo allowed a late first period goal and eventually lost the game in overtime. Buffalo didn’t let that same story play out last night. They opened with two quick goals and put their foot down to end the first period with a 4-0 lead. 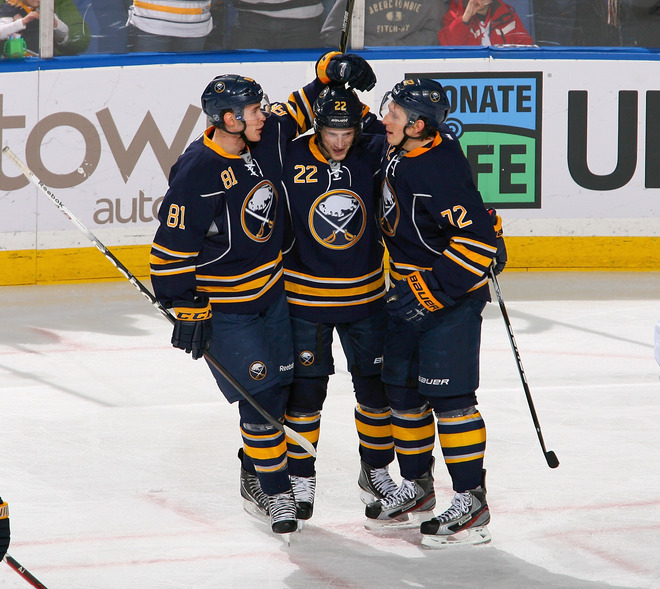 The Sabres shifted into cruise control after that, ringing a few posts on their way to a 4-2 victory. They received a good effort from Ryan Miller, who made 20 saves and all the ones he needed to make. Washington’s two goals both came through massive screens, one which could have been argued as goaltender interference. Still, Miller rolled up another strong game and received the goal support needed to get a victory. With three more games this week, two being played on the road, the Sabres have an opportunity to right the ship after a terrible run as they came to the Christmas break. The return of Brad Boyes and Jochen Hecht made a world of difference to the Sabres’ game. Boyes looked great as he picked up an assist and should have potted Derek Roy’s rebound in the third period. No matter, Boyes game was exactly what the Sabres need. Those chances will go in as the games continue. Speaking of missed scoring chances, Boyes’ miss and the three posts the Sabres hit in the second and third period could have really created a massive gap between these two teams. The score indicates a closer game than was played. This was perhaps one of the most complete efforts Buffalo has played lately. Hecht’s return was unassuming. He certainly offers more to the first line than Paul Szczechura did. Getting these regulars back is huge for the Sabres’ chances at reclaiming a playoff spot. It is fairly obvious these guys will bring quite a bit of stability to the roster. Brayden McNabb scored his first NHL goal. He is seeing power play time and is making a great argument to stay in the NHL for the foreseeable future. If his power play contributions are just consistent (no need to be outstanding) he will officially bring more to the table than Marc-Andre Gragnani. The truth will be told when Tyler Myers returns to the line up. Jordan Leopold and Christian Ehrhoff have been quite consistent for this team. Ehrhoff’s numbers likely draw ire from many fans, but he is certainly earning his keep – well, at least his cap hit – as of late. That snipe last night certainly helps matters. Zack Kassian was credited with zero hits. Not sure how that collision with Alex Ovechkin was scored, but it looked like a hit to me. That being said, his physical game offers more than just bodychecks. He is next to impossible to knock off the puck along the wall. He will return to Rochester eventually, but his development certainly looks promising.